Black & Plaid Bucket Tote. Sydney Love is a distinctly recognizable brand with whimsical print handbags and accessories at affordable prices. Buy direct from Sydney love now. 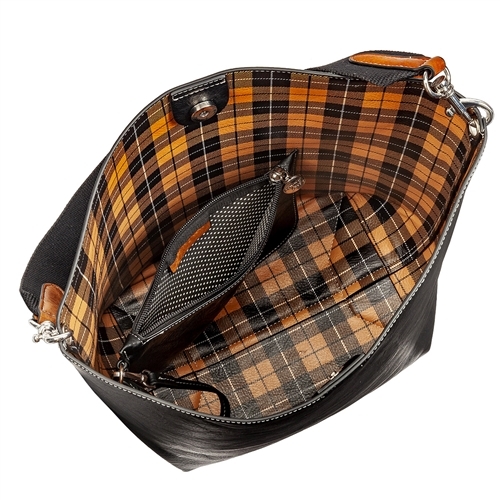 Spacious yet comfortable, this black faux leather bucket tote features a canvas woven shoulder strap along with a brown and black plaid interior pattern for sophistication. 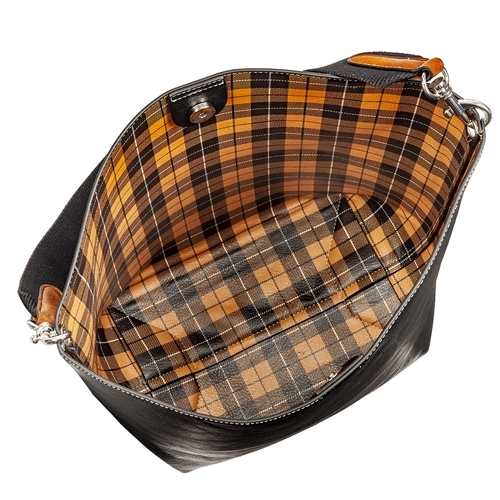 Comes complete with a detachable inner envelope pouch that can be styled separately.